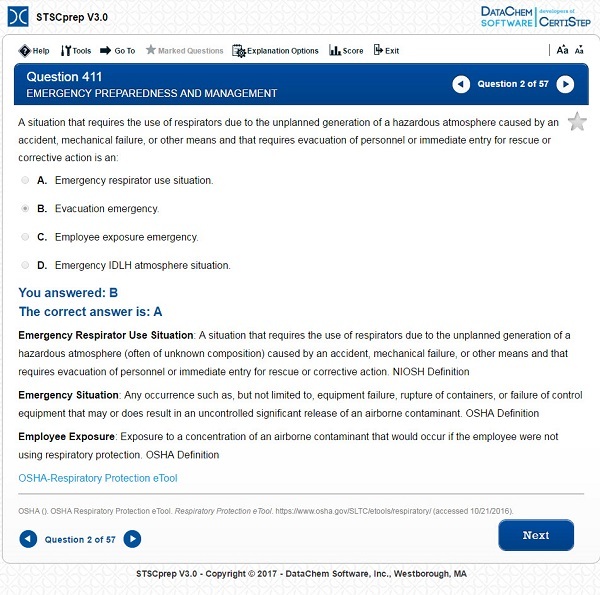 The software is designed to prepare the user for the Safety Trained Supervisor Construction (V6) exam that is offered by the Board of Certified Safety Professionals (BCSP). The STSC (V6) exam is for people who purchased their exam seat after November 29, 2016. STSC V3.0 is currently authored by Phillip J. Nessler, Jr., a licensed Professional Engineer and Certified Safety Professional. Mr. Nessler obtained a B.S. in Safety Engineering from Texas A&M University and a M.S. in Civil and Environmental Engineering from George Washington University.